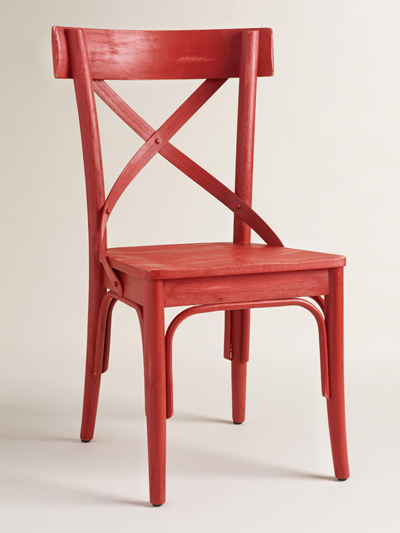 In a vibrant, vintage-inspired color and design, these Red French Bistro Dining Chairs are reminiscent of seating you’d find in a Parisian patisserie. They’re crafted of acacia and rattan wood with swooping “X” detailing and a flat, wide seat. Set of 2. $259.98. Buy here.